Mitch is a freelance guitarist and instructor in the Edmonton area. 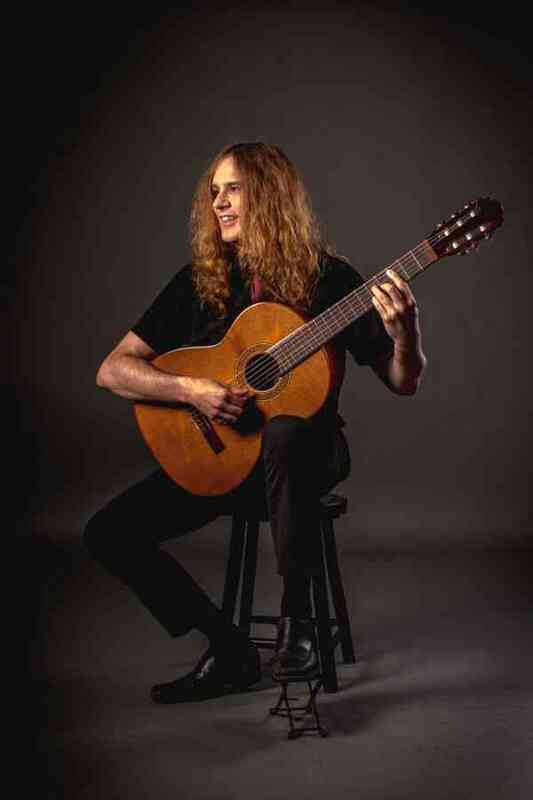 He’s a graduate of the Red Deer College music program (electric guitar), has studied classical guitar through the Royal Conservatory of Music (3 time Gold Medalist for levels 7, 8, and 9), and has a Jazz Performance Diploma from the London College of Music. He has studied with some of Edmonton’s finest instructors, and in Los Angeles with Greg Howe (touring guitarist for Michael Jackson, Rihanna, Christina Aguilera and Justin Timberlake). Mitch is currently on the music faculty at Suzuki Charter School and The Conservatory of Music at MacEwan University. Mitch has performed in a variety of settings including radio, television, studio sessions, weddings, private functions, tribute acts (The Beatles, Metallica), and bands performing styles from world beat to metal.